What is it for ? Roasting pan is particularly suitable for cooking meat and fish in the oven, uncovered with a fatty substance. It can of course also be used for preparation. Beyond roasting, it is also commonly used for cooking gratins. 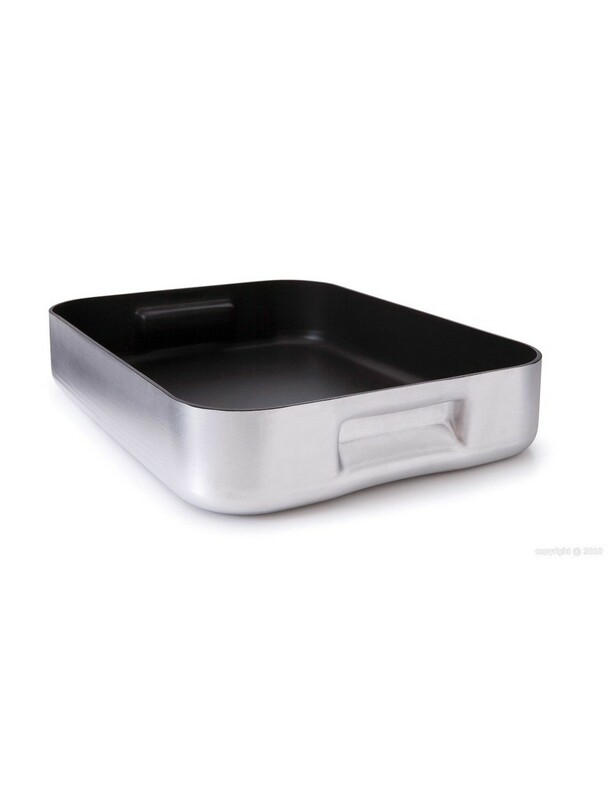 Non stick aluminium roasting pan without handle. 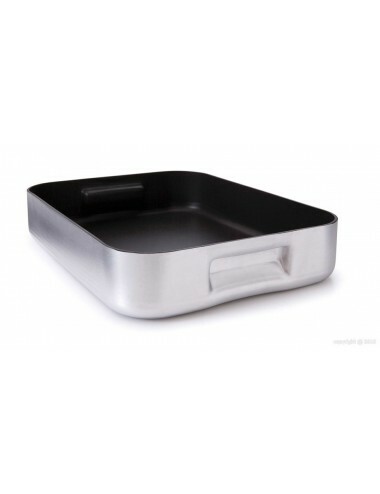 Rectangular pan, very practical to cook in oven: poultry, gigots … Good thermal conductivity. The non-stick coating helps you limit cooking oil.